Sophia Davis Labor day Offer. 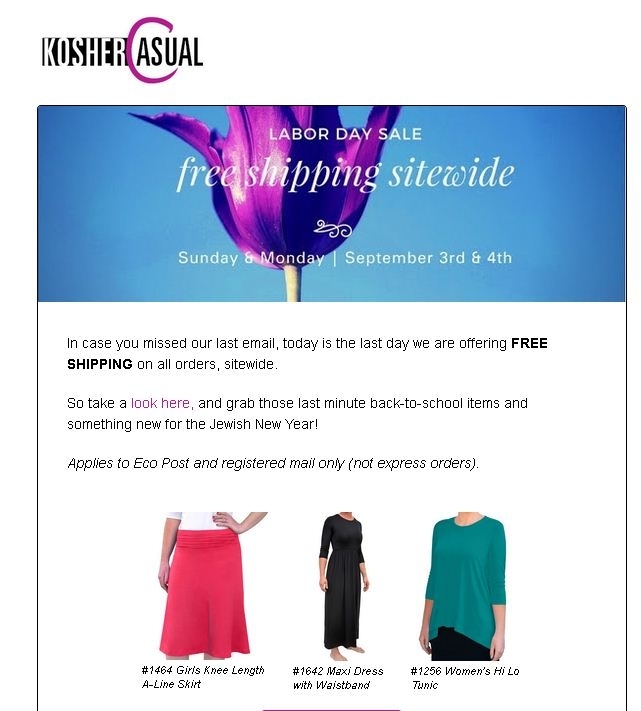 Free Shipping on all orders, Site Wide at Kosher Casual. Expires today.